GM India is expecting a growth of around eight per cent in its sales in North East market this year even as the overall car segment is witnessing a steep fall. 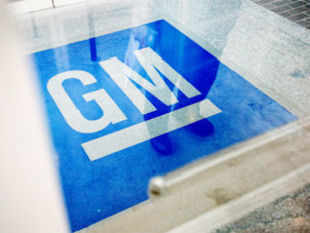 Guwahati, Jun 17 : General Motors India is expecting a growth of around eight per cent in its sales in North East market this year even as the overall car segment is witnessing a steep fall across the country in the recent months. "North East is an important and emerging growth market for General Motors. In terms of sales, it contributes as much as 32 per cent of the total sales in the Eastern region with Assam contributing a major part of the share," General Motors India Vice-President P Balendran told PTI. At present, the North East (NE) contributes three per cent to the total sales of the company annually, he added. GM India had clocked a total sales of 92,435 units during last year. When asked about the company's expectation from the NE, Balendran said: "It's growing at a rate of five per cent even in these tough market conditions and is expected to grow around eight per cent overall by the year end of 2013." Assam contributes the highest at around 60 per cent of overall sales in the North East region. Talking about the models, he said the small car Beat and the newly launched Sail hatchback and sedan continue to generate good demand in the region. "All our models, regardless of the fuel type, have significant demand in the North East. In Assam, diesel and petrol both are accepted well," Balendran said. Car sales in India fell for a record seventh consecutive month in May with a decline of 12.26 per cent, prompting industry body SIAM to caution that the prolonged slump in the market may result in job losses in the automobile sector. As per SIAM data, domestic passenger car sales in May stood at 1,43,216 units as against 1,63,222 units in the same month of 2012. GM India, which had set up its first showroom in the region in 2004, is also expanding its network in the NE. "We have recently opened new showrooms in the cities of Nagaon and Tinsukia. We will shortly open two more new showrooms and service outlets in cities like Tezpur and Jorhat," Balendran said. Currently, GM India has 14 sales points and service outlets in the North East. The company currently has a warehouse in Guwahati with a total capacity of 350 cars. The Eastern region for GM India comprise states like Arunachal Pradesh, Assam, Bihar, Jharkhand, Manipur, Meghalaya, Mizoram, Nagaland, Orissa, Sikkim and West Bengal. The company had reported 39.83 per cent increase in its sales at 8,500 units in May 2013 compared to 6,079 units in the same month of 2012. The sales during May 2013 included 1,506 units of Beat, 2,851 units of Sail, 2,177 units of Enjoy and 1,475 units of Tavera.